I hear the Northeast is beautiful in the fall. Sadly, we can't make a road trip, but we can journey to Central Park on the pages of a new book. Without leaving our couch, we can take a trip near the Central Park Zoo.We can stop at the Delacorte Clock located at the entrance to the zoo. In the crisp autumn air, we can watch a musical clock with dancing animals. And we can hear the fictional tale of The Dancing Clock. The Dancing Clock by Steve Metzger is an imaginative journey. Milo, a snow monkey at the zoo, wants to join the dancing animals on the clock, but he is locked behind his gate with the other zoo monkeys. He is so enraptured with the clock, he refuses to even play with the other monkeys. Finally, he makes an escape. He happily dances with each of the animals until the music ends and he is left all alone on his clock. He realizes the bronzed animals aren't warm or friendly like his monkey friends. Milo learns an important lesson about true friends. The book is written in rhyme with a nice flow. 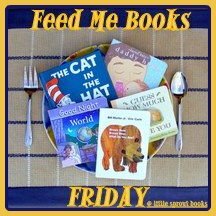 It would be an excellent choice for a read aloud. I love the idea of building a fictional story on a real landmark. 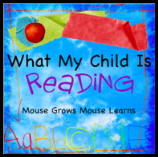 The reader doesn't need background knowledge on the location to understand this story. However, using a real landmark allows the reader to extend his knowledge of the book in a variety of ways.The cartoonish illustrations, set in the fall in Central Park, make the book colorful and engaging. We enjoyed our visit to The Dancing Clock in Central Park... maybe next visit we'll even leave our home! Here's where I'm linking up. Check out these blogs for many more book reviews! We really liked that book from Tiger Tales too. Thanks for joining WMCIR!